allowing for Operators to indicate the availability of their equipment over the next 7 days directly into the EPH allocation system (no more phone calls and SMS’s). Real time scheduling, job notes & confirmation: lets eph allocate jobs to operator, where they can view all of the jobs details and either accept or declining them. Allowing for instant delivery to both EPH and the Client’s inbox for processing, while removing the need easily misplace paper dockets. To provide real-time feedback to both Clients and EPH about the progress of a job to assist in achieving maximum project productivity. Making instructions between Operators, Clients and EPH both and quick and easy. Allowing operators to submit insurance and cards to EPH team via mobile apps for review and approval. 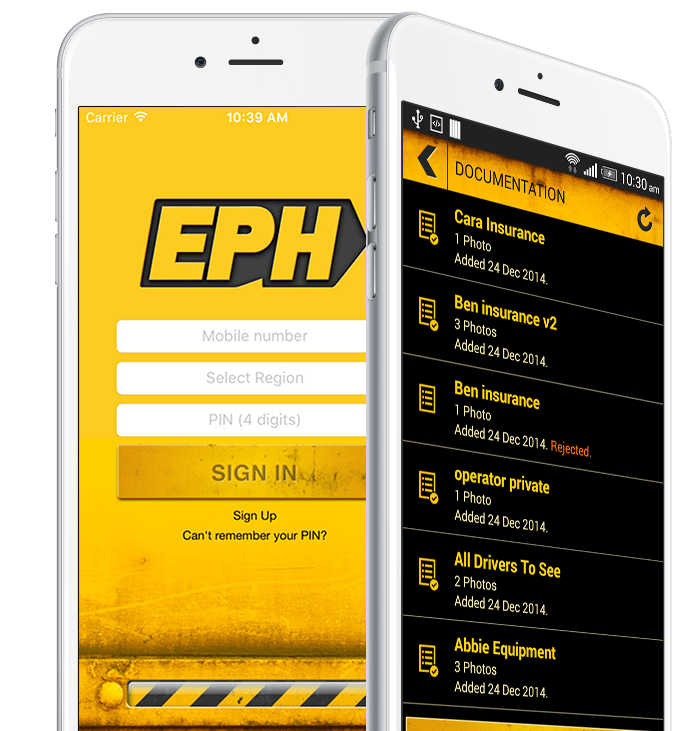 To be able to instantly use the app, you will need to be a registered operator with EPH and provided access to use the mobile app.